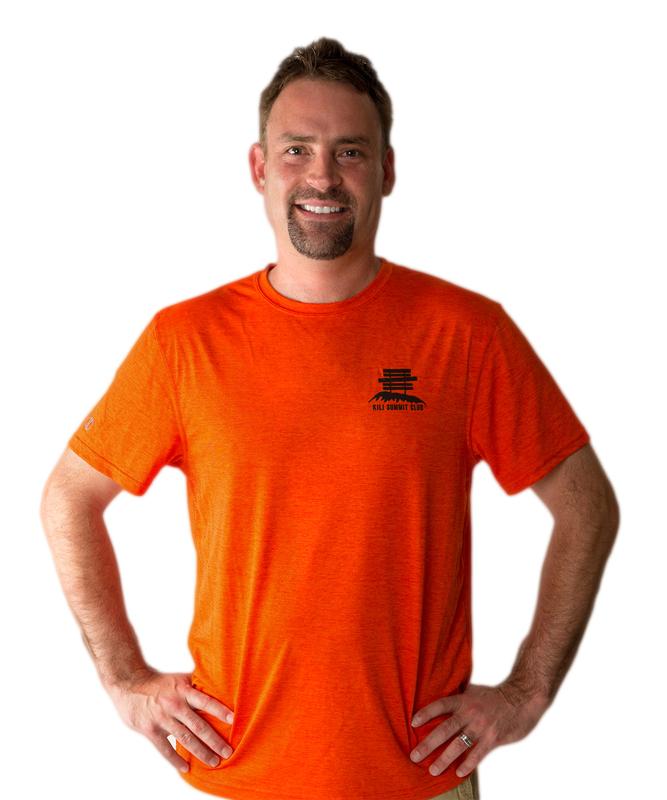 An attractive moisture wicking short sleeved shirt which dries quickly and keeps you cool and comfortable while hiking, biking or running in Orange Heather. 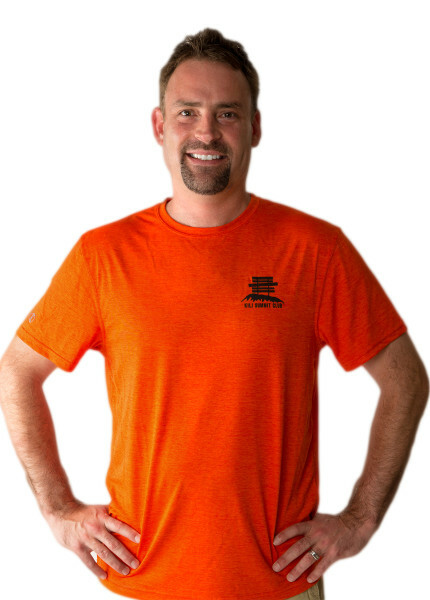 Men’s Dry Excel™ Heathered Micro-interlock is a smooth polyester fabric with high mechanical stretch and moisture wicking properties. 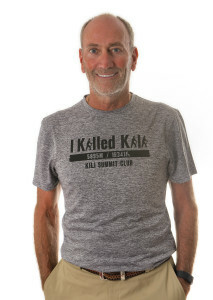 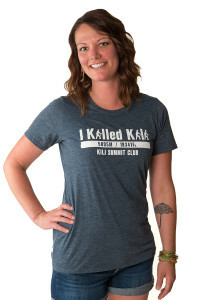 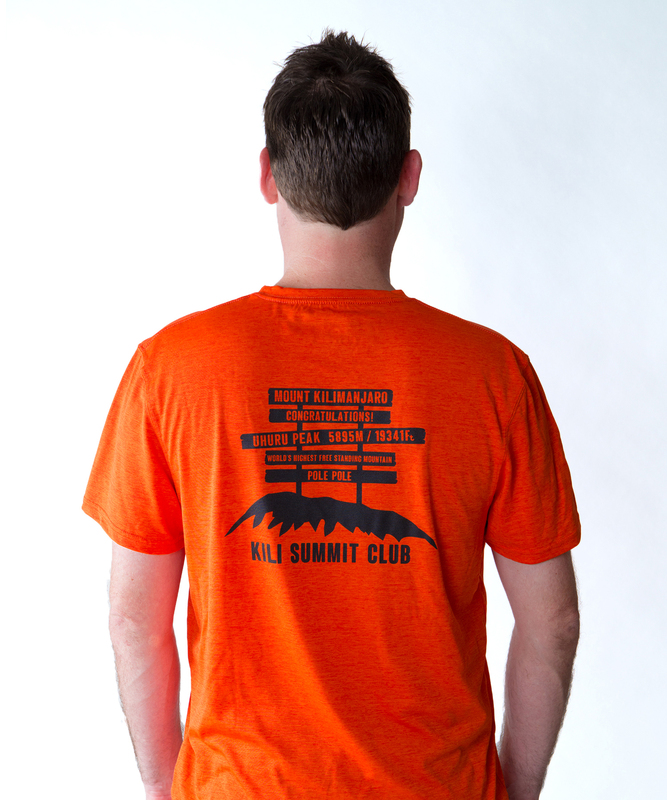 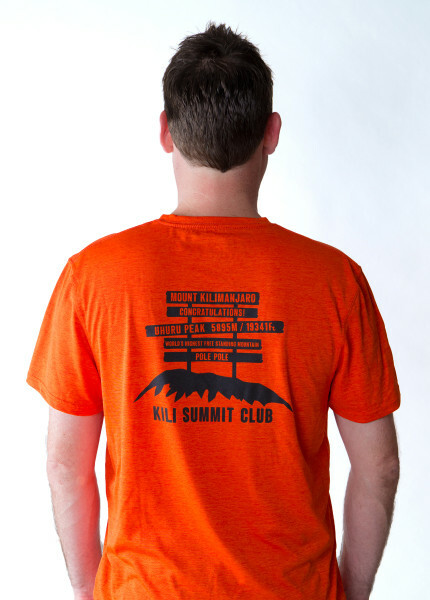 This shirt features the Kili Summit Logo on the front left chest and the Uhuru sign on the back.